1. An attitude, posture, or place occupied. 2. Posture or attitude assumed by a patient for comfort and to facilitate the performance of diagnostic, surgical, or therapeutic procedures. 3. obstetrics the relation of an arbitrarily chosen portion of the fetus to the right or left side of the mother; with each presentation there may be a right or left position; the fetal occiput, chin, and sacrum are the determining points of position in vertex, face, and breech presentations, respectively. Compare: presentation. 2. the relationship of a given point on the presenting part of the fetus to a designated point of the maternal pelvis. 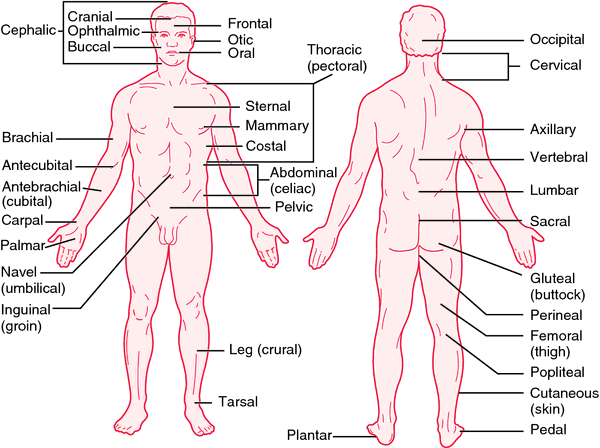 anatomical position that of the human body standing erect with palms turned forward, used as the position of reference in designating the site or direction of structures of the body. 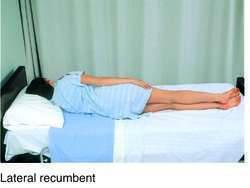 Fowler's position that in which the head of the patient's bed is raised 18–20 inches above the level, with the knees also elevated. knee-chest position the patient resting on knees and upper chest. knee-elbow position the patient resting on knees and elbows with the chest elevated. lithotomy position the patient supine with hips and knees flexed and thighs abducted and externally rotated. Mayer position a radiographic position that gives a unilateral superoinferior view of the temporomandibular joint, external auditory canal, and mastoid and petrous processes. Rose's position a supine position with the head over the table edge in full extension, to prevent aspiration or swallowing of blood. semi-Fowler position one similar to Fowler's position but with the head less elevated. Sims position the patient on the left side and chest, the right knee and thigh drawn up, the left arm along the back. Trendelenburg position the patient is supine on a surface inclined 45 degrees, head at the lower end and legs flexed over the upper end. verticosubmental position a radiographic position that gives an axial projection of the mandible, including the coronoid and condyloid processes of the rami, the base of the skull and its foramina, the petrous pyramids, the sphenoidal, posterior ethmoid, and maxillary sinuses, and the nasal septum. Waters' position a radiographic position that gives a posteroanterior view of the maxillary sinus, maxilla, orbits, and zygomatic arches. 1 any one of many postures of the body, such as the anatomical position, lateral recumbent position, or semi-Fowler's position. See specific positions. 2 (in obstetrics) the relationship of an arbitrarily chosen fetal reference point, such as the occiput, sacrum, chin, or scapula, on the presenting part of the fetus to its location in the maternal pelvis. Medtalk A stance or placement. See Beach chair position, Calcaneal neutral position, Dorsal lithotomy position, Figure of four position, Fixed structural position, Frog leg position, Jump position, Lateral decubitus position, Leapfrog position, Recovery position, Sims position, Sniffing dog position, Statue of Liberty position, Stress position, Thorburn's position, Tip-toe position, Waters' position. 1. An attitude, posture, or placement. 2. A posture or attitude assumed by a patient for comfort and to facilitate diagnostic, surgical, or therapeutic procedures. 3. obstetrics The relation of an arbitrarily chosen portion of the fetus to the right or left side of the mother; with each presentation there may be a right or left position; the fetal occiput, chin, and sacrum are the determining points of position in vertex, face, and breech presentations, respectively. the location of a body or object in space that may be specified by co-ordinates (e.g. Cartesian or polar). The way in which the eyes are arranged. active position Position of the eyes characterized by foveal fixation of an object by both eyes. Thus, they are under the control of postural, fixation and fusion reflexes. See esophoria; exophoria; passive position; reflex. cardinal position's of gaze These are the following six version movements of the eyes: dextroversion (to the right), laevoversion (to the left), dextroelevation (up to the right), laevoelevation (up to the left), dextrodepression (down to the right), and laevodepression (down to the left). See motility test; version. diagnostic position's of gaze Method of evaluating the integrity of the extraocular muscles by testing the primary, the four secondary and the four tertiary positions of gaze, monocularly or binocularly. See motility test; version. passive position Position of the eyes when they are only under the control of the postural and fixation reflexes, but not the fusion reflex, as, for example, when one eye is covered and the other is fixating an object. See heterophoria. primary position The position of an eye in relation to the head, from which a pure vertical and a pure horizontal movement is not associated with any degree of torsion. The eye is usually, but not necessarily, in the straight ahead (straightforward) position. See centre of rotation of the eye; torsion. position of rest, anatomical Position of the eyes when they are completely devoid of tonus, as in death. position of rest, physiological Position of the eyes when they are only under the control of the postural reflexes, but completely free from any visual stimuli. See resting state of accommodation; initial convergence; tonus; tonic vergence. secondary position Movement of an eye represented by a horizontal or vertical rotation away from the primary position. See version. straight ahead position; straightforward position See centre of rotation of the eye; primary position. tertiary position Movement of an eye to an oblique position, as, for example, 'up and in'. See version. n the placement or location of body parts to each other or the relationship of the body and its parts to other objects in space. n the upright, forward-facing stance used to reference the physical location of a body part. Arms are held down at the sides with palms, toes, and eyes all directed anteriorly. n the placement of the long axis of a tooth so that the tooth is positioned to withstand the occlusal forces exerted on it. n the most posterior position of the mandible at any specific vertical relation of the maxillae. n 1. the position of the mandible in its most retruded relation to the maxillae at the established vertical relation. n 2. the constant position into which the patient will close the jaws; this relationship may be a convenience relationship or a true centric relationship. n 1. mandibular joints at which a hinge movement of the mandible is possible. n 2. the maxillomandibular relation from which a consciously stimulated true hinge movement can be executed. n (eccentric jaw position), any position of the mandible other than that in centric relation. See also relation, jaw, eccentric. n See position, eccentric and relation, eccentric jaw. n the orientation of parts in a manner permitting hinge movements between them. n any position of the mandible that exists when the condyles are so situated in the temporomandibular joints that opening or closing movements can be made on the hinge axis. See also axis, hinge. n a relaxed and level arrangement of specific parts of the body so as to minimize stress or strain on the joints, nerves, or spine. The neutral position is usually defined by the horizontal plane of the adjacent part(s). n the habitual postural position of the mandible when the patient is resting comfortably in the upright position and the condyles are in a neutral, unstrained position in the glenoid fossae. The mandibular musculature is in a state of minimum tonic contraction to maintain posture and to overcome its force of gravity. See also relation, rest jaw. n the occlusion of the teeth as the mandible and mandibular central incisors are moved straight forward toward the incisal edges of the upper central incisors; the normal anterocclusal relationship; the forward end position, with the maxillary and mandibular incisors in edge-to-edge contact. n 1. the position of the mandible when the jaws are in rest relation. See also position, physiologic rest, and relation, rest jaw. n 2. the position that the mandible passively assumes when the mandibular musculature is relaxed. 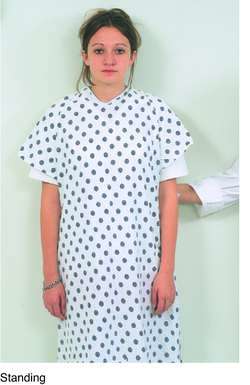 n a way to position a patient suffering from respiratory or cardiovascular conditions. n the mandibular hinge position from which further opening of the mandible would produce translatory rather than hinge movement. See also position, hinge. n the placement or location of the tooth in the dental arch in relation to the bone of the alveolar process, its adjacent teeth, and the opposing dentition. 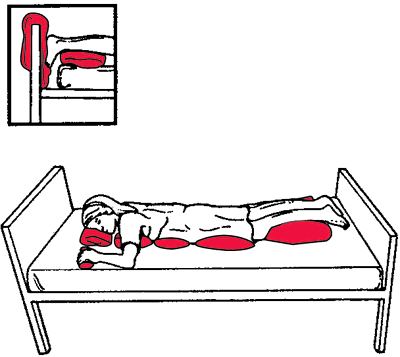 n.pr a position in which the patient is on his back with the head and chest lowered and the legs elevated. a bodily posture adopted by a patient to facilitate breathing or a distended viscus or cavity, or to relieve pain by moving pressure from an organ.